I was recently asked a question by one of my clients and I noticed that I paused for what seemed like an eternity before I responded to them. I imagine some might say I paused or am slower in my thinking because I am getting old(er). Some might say it is because I am insightful and want to consider what I am saying. And others might say I am simply doing it for effect. But none of those is true. The other day when I was biking I saw what appeared to be a thick tree limb split wide open on the side of the road, perhaps from one of the many storms that passed through the area this summer. However, as I got closer to the limb I saw that it was not one branch, but in fact two separate branches with a yellowing leaf between them. And neither of the limbs were split open. It was the arrangement of the three objects that gave the appearance of one large limb that had been split open. You see, I pause in my thinking and observation not because I am old(er) or more insightful or trying to give effect. I pause . . . I must pause . . . because I think I know. I have seen and witnessed enough in my life to think I know. When I see or hear something, I am quick to categorize and label it, perhaps as something similar to what I have seen or heard in the past. But conclusion based on assumption is dangerous and can lead to many mistakes in thinking and action. If we can’t see things with new eyes, truly see and hear things as they actually are rather than what we THINK they are, then we must be aware enough to pause and consider all possibilities before speaking or acting. This is why I pause, and why it is so important for me to do so. I want to consider the truth of what is before me rather than what I think I already know. Interacting with people and the world around us with an attitude of “I already know” is an epidemic these days. We all have retreated to “our sides” and we only wish to hear what we agree with or already believe to be true. Whether it is the media we listen to and read, our friends on Facebook, or our community groups, we surround ourselves mostly with information that supports our already established point of view. Unfortunately, interacting with the world in this way will only limit our learning, our ability to think differently, and our ability to see the world as it truly is. And if that is how we truly wish to go through life, than we might as well lock ourselves in a room and spend the rest of our days in the dark. The world can only truly be experienced by venturing out. We must consider other ideas, other people, and other beliefs if we are to be fully alive. We must venture out from the confining cage of thought we have built for ourselves and seek new truths. One of the things I love about hiking mountains is that I always learn about life and myself. This held true while climbing Mt. Washington, the tallest mountain in New Hampshire, this past July. The most powerful insight I gained from Mt. Washington was how susceptible we are to the power of suggestion, and how damaging it can be if we are not aware of when it is acting upon us. 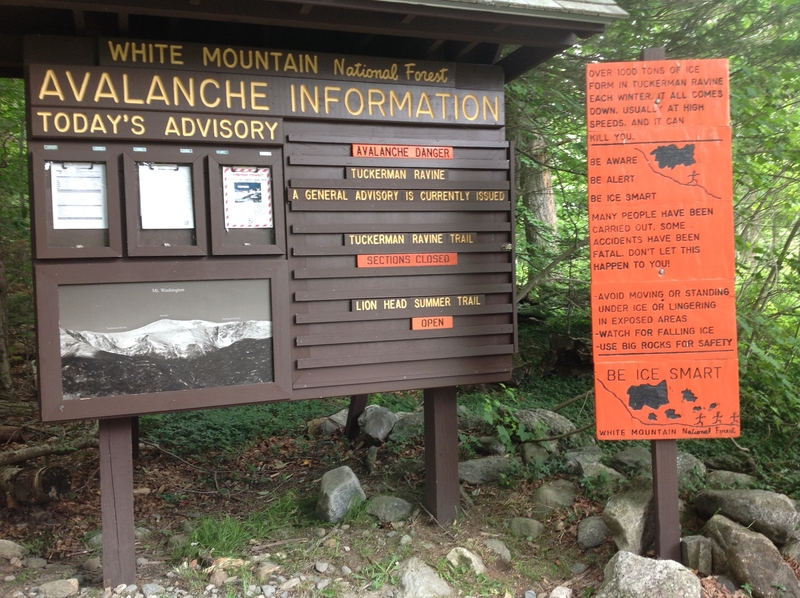 When I arrived at the base of the mountain, there were several signs posted warning of avalanches and falling ice. The rangers I spoke with echoed this warning. While I am never one to do something stupid at elevation, especially when I am hiking alone, I didn’t get a sense that the ranger had a real conviction about his warning. My intuition told me that the trail wasn’t really that bad and that the ranger was erring on the side of caution. So, I decided to take the risk and go up the trail. While it may at first seem like I am about to make a big mistake, I should share that after 30 years of hiking, I enjoy taking measured risks, but rarely, if ever, will I take stupid ones. I decided I would continually assess the trail and if at any time I felt the danger level was too high, I would backtrack and take a safer trail up the mountain. As it turns out, my intuition was right. The trail was not impassable or dangerous. Yes there was snow and ice. Yes the rocks up the vertical ravine were wet and slippery. But at no time did I feel my life was in danger. But here is what did occur along the way. My mind ran with the suggestion that there was danger. All I could think about on this gorgeous day was a huge chunk of ice the size of a Volkswagen barreling down the mountain and crushing me like a bug. The amount of fear I felt was distracting. Butterflies filled my stomach and my legs were unsteady. My mind was preoccupied with what I would do if this did occur. What would be the best way to survive an avalanche in the terrain I was hiking? What rocks would I seek shelter behind? Did my phone have reception to call for help? Was there anyone else on the trail that I could hike with or assess whether the trail ahead was safe? I was completely focused on the fear rather than the beauty and peace of the trail. Sadly, the only place any danger existed was in my head. There was no real danger on the trail. All of my fear was the result of a suggestion of danger. And that’s the thing about fear and worry: we become consumed by something that is not real and does not actually exist, and it takes us out of the reality and beauty of the present moment. And that is a total waste of time and energy. Many of us live our lives in a space of fear and worry that is usually based on a suggestion rather than reality . . . which if you think about it, is the equivalent of living in a land of make believe. At least when we were kids, the land of make believe was something to aspire to and was filled with rainbows, unicorns, lots of candy and happy endings. Never underestimate the power of your mind. While this story demonstrates the power of fear, we must not forget that the mind can also create a powerful positive reality pertaining to something we desire in life. An amazing truth in life is that almost everything in the world around you was created from a thought. That being the case, why not have those thoughts move you toward something you desire rather than something you fear. For a little fun, below is the trailer that contains the above quote from the movie After Earth. Are You Ready for Your Dreams? We all have dreams we aspire to. But how many of us are truly ready for them to come true? A few weeks ago a friend invited me to watch the movie Inception. The movie alone is enough to have you question your life, your dreams and what is real, but in this particular situation, the experience I had as a whole went far beyond just the plot of the movie. I was watching the movie on a beautiful new flat screen TV and it was on a Blu-ray Disc. This was the first Blu-ray movie I have ever watched and I was having trouble adapting to the new technology. In fact, it was so astounding to me that I had trouble following the story line of the movie. The new format didn’t have the typical movie-like quality I was used to. Instead, it felt more like something I might see on the TV news. In short, it was more real. I felt like I was a participant in the movie rather than a viewer. The picture quality looked so great that it often looked fake to me. Things seemed so real at times that I couldn’t accept them. I stumbled through the whole movie this way, questioning what I was seeing because it looked so life-like that it looked fake. And this got me thinking. If my dreams came to life, would I believe them or would they seem so real that I would think they were fake? Could I truly welcome them, live them and celebrate them or would they appear so unreal, like the movie did to me, that I would reject them? I think many of us believe the idea that our dreams can actually come true and that we can manifest and live them. In fact, our country – and many Disney films – were built upon this concept. But in reality, I wonder how many of us, deep down in our heart, truly don’t believe this or reject it as impossible. One of the keys to fulfilling dreams in life is a willingness to accept the fact that they can come true and that we deserve to live that magnificent life we have imagined. 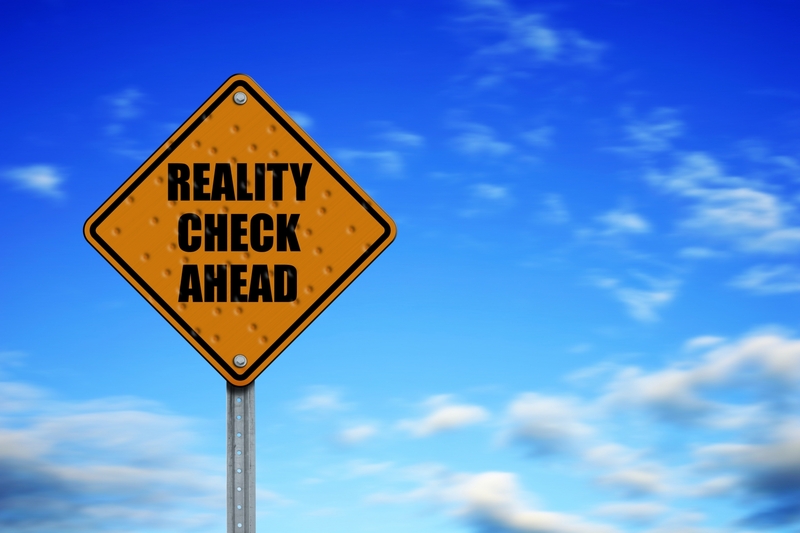 Don’t let a “perceived” reality get in the way of your imagined one. Those who are willing to suspend their reality open up the space to create their own dreams. Do I know what’s real and what’s not in my life? Maybe. Lord knows I have seen and experienced things that defy explanation and my understanding. Oddly, that is when life appears most magical and magnificent for me. Time disappears and anything seems possible. And perhaps that is the point. The fact that I am open and willing to question “reality” allows for my dreams to come to life and manifest.